Originally built in 1889, the heritage-listed Okoroire Hot Springs Hotel features an onsite hot spring bath, a 9-hole golf course and a tennis court. Guest can relax with a drink at the bar, or play billiards in the games room. 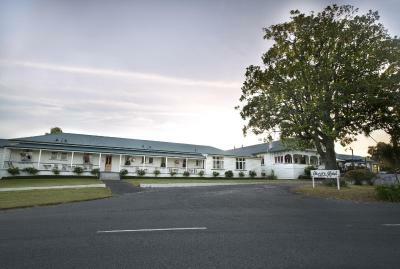 Hot Springs Motor Lodge is located just 800 metres from the famous Hanmer Springs Thermal Reserve, Hanmer Springs villa shops and a 3-minute drive from Hanmer Springs Golf Course. Free Wi-Fi and free off street car parking are available. 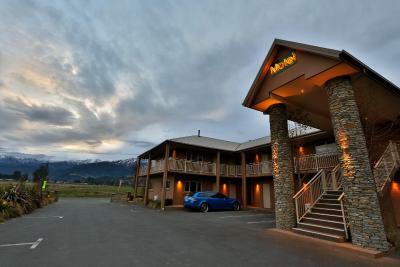 Maruia Hot Springs is a thermal eco-wellness park that provides accommodation in the pristine Lewis Pass National Park. 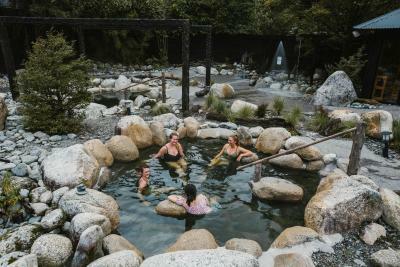 Offering an outdoor pool and hot tub, Awakeri Hot Springs is situated in Awakeri in the Bay of Plenty Region, 10-minutes' drive from Whakatane. Free WiFi is available throughout the property and free private parking is available on site. Offering free Wi-Fi and a heated hot tub, Fairy Springs Motel is located in a peaceful area only a 5-minute drive from Rotorua city centre. All apartments and studios at Motel Fairy Springs have a 32-inch LED TV with more than 50 channels. Golden Springs Holiday Park is home to several natural thermal hot pools, a warm-water stream and a seasonal outdoor swimming pool. The on-site restaurant can serve dinner in your room. This lodge offers an outdoor pool, hot tub and a library. Guests can relax in the spa bath of their private studio. Parakai Springs Lodge is an 8-minute walk from Kaipara River and a 4-minute drive from both Helensville and Parakai Aerodrome. Hot Water Beach TOP 10 Holiday Park is located 700 metres from Hot Water Beach, a popular surfing destination on the stunning Coromandel Peninsula. It offers a children’s playground, an internet kiosk and a guest lounge with satellite TV.